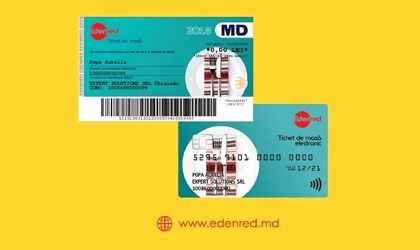 Edenred will open a branch in Moldova in 2018, following the promulgation of the meal benefits law in October, which allows companies to grant meal benefits to their employees and soon the law enforcement rules will be published. With a population of 3.55 million citizens, in the Republic of Moldova there are more than 1.28 million employees. Moldovan companies and institutions will be able to provide to their employees meal benefits on paper or card support with a maximum face-value of 45 Moldovan lei. The total monthly value offered in the form of meal benefits will generate a significant purchasing power increase for Moldovan employees, by up to 20 percent of the average salary. The value of meal benefits in the Republic of Moldova is deductible and exempt from social contributions and income tax. 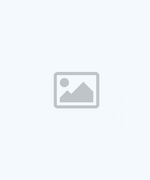 “The fiscal advantage will encourage employers to provide an attractive incentive to motivate their employees. In Romania, meal benefits have been issued since 1999, being today one of the most popular employee benefits, essential for active workers and companies.” says Dana Sintejudean, general manager of Edenred Romania & Moldova. “The network of partner merchants for Edenred Moldova is already in development. We have excellent first reactions from the market and we are planning to develop the largest and most extensive network of partner merchants nationwide in the Republic of Moldova,” adds Sintejudean. 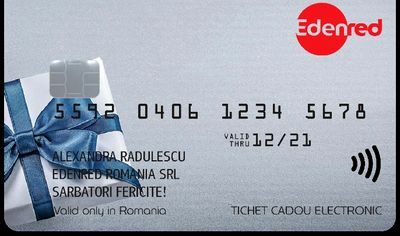 In Romania, Edenred is the first local meal benefits issuer since 1999, and currently serves more than 35,000 customer companies, 1 million users and more than 65,000 merchant partners for meal benefits and cards, gift benefits, gift cards, holiday benefits, social benefits.